Sculpture Size: 5.5 X 4.5 X 3.5 in. 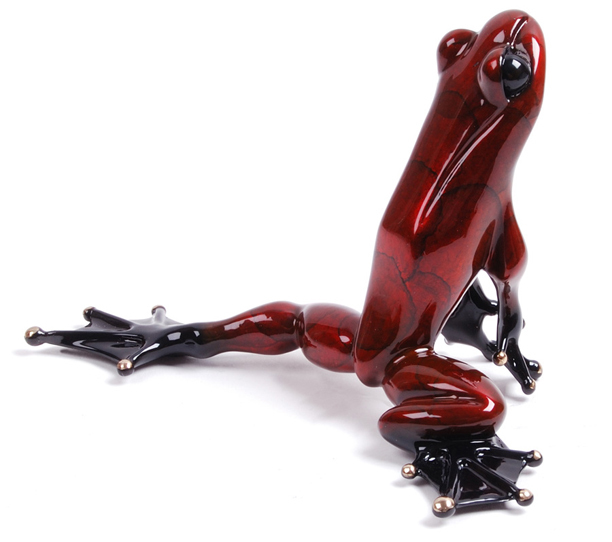 "Sundance" is a gorgeous copper-colored silver nitrate frog and the companion piece, "Starr", is a rich red silver nitrate. Available separately or as a matching numbered set. Looking for unique one of a kind display ideas? "Starr" or "Sundance" fits on a Medium Glass Lily Pad. Displayed together they fit on a Large Glass Lily Pad. See Display Accessories Section.